The estate agency sector in Ireland is undergoing a profound transformation. The franchise model is now where all the growth is. At RE/MAX we believe that this transformation represents a great opportunity. Groundbreaking, far-sighted marketing and sales techniques allow associated agents to give a truly professional service to their clients. Innovative computer systems allows the management of the Franchise network and increases the number of transactions not only locally, but also nationally and internationally. All this, along with the internationally recognised brand, makes the RE/MAX concept the most competitive in the market. These tools, together with all the operational support of RE/MAX Ireland, allows each Franchise to have a great real estate business and be a leader in their market. 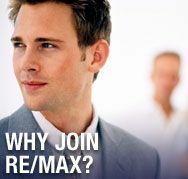 Would you like to share the RE/MAX vision and become part of Irelands most exciting business opportunity? If you do - we would love to hear from you. Just complete the application form and send it to us right away - because your future with RE/MAX starts NOW!